Census Bureau Citation Suggestions - Chicago, MLA, APA, CSE. 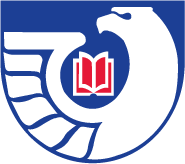 Dacus Library has been a part of the U.S. Federal Depository Library Program since 1896. As a selective depository, we receive 35 percent of the documents published by the U.S. government. Our collection supports the research and teaching mission of Winthrop University and the information needs of the 5th Congressional District. Hours: Monday - Friday, 8:30 am to 5:00 pm. As a security measure, a Winthrop University identification card or a scheduled appointment will be required to access the government documents collection. Researchers must call, write or e-mail before coming to the library so that we may better serve you. Many government documents are available full-text on the Internet or linked through the library catalog. Depository libraries within 100 mile radius of Winthrop University.